Last week I was at the eLearning Network's 25th Birthday Bash in London. It was a fantastic event with some great speakers and an opportunity to learn drumming. I spoke (for 5 mins) on how mobile enables informal learning. Here’s a summary of my talk. 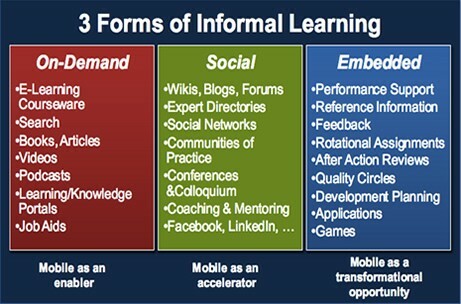 is the most common framework used to help understand informal learning. As Charles Jennings says, it 'is not a recipe but a reference model based on empirical research and experience'. The framework helps us appreciate the relative proportions of informal learning and formal learning that goes on. I am not particularly stuck on the exact ratios (and there is huge debate on that here and here) but agree that Informal is a big chunk of all learning – which should not be left to chance. 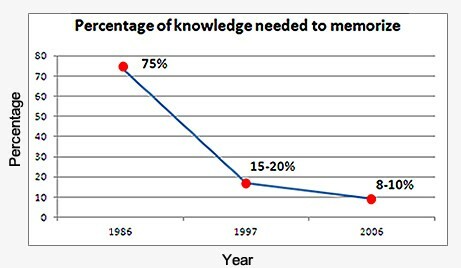 To support the argument – that informal learning is important – here is a research by Prof Robert Kelley from Carnegie Mellon University, which shows dramatic drop over the years in the percentage of information that the workers need to hold in their heads to get their work done. This only emphasizes on the decreasing role of formal learning. So, Informal is important. Now what can you do about it? Surely you cannot 'create & implement' informal learning. You can at best support it by providing an environment, which helps informal learning happen. Part of that environment will be the culture of the organization and that’s not something any vendor, technology, or tool can do for you. 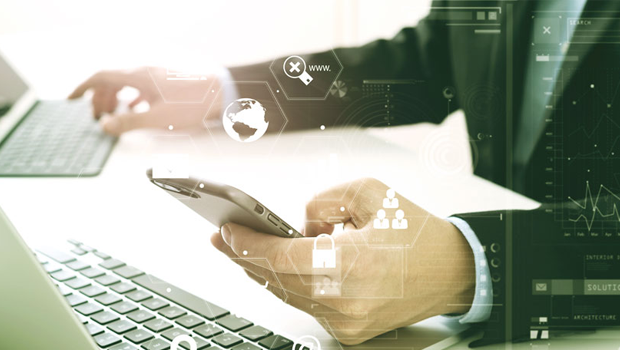 Bersin & Associates put forward a framework of 3 different forms of Informal Learning and suggest mobile could be the technology to make these happen. In this framework, the first column 'On-Demand' is more about search-based access to information/assets just-in-time. The second column 'Social' is about leveraging social networks and tools to learn from each other. And the third column 'Embedded' is about integrating learning within work. 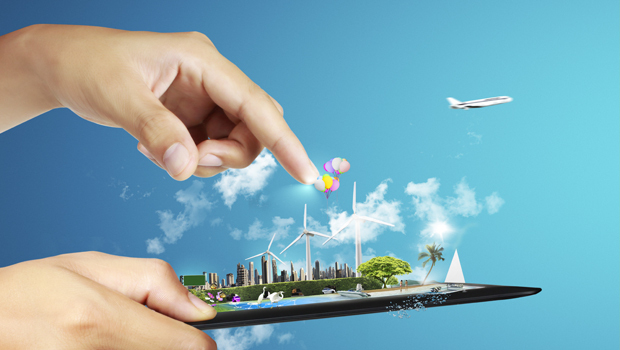 Mobile with its several unique characteristics of being always on, always carried, and a host of sensors in it, could be the ideal enabling technology to begin with and offers a transformational opportunity if pursued properly. 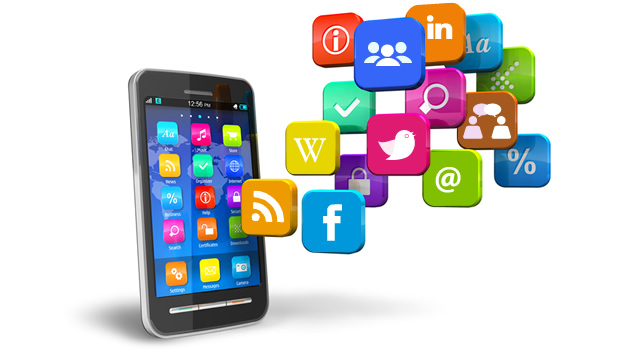 To me, this is the real potential of mobile, which organizations should strive to achieve. 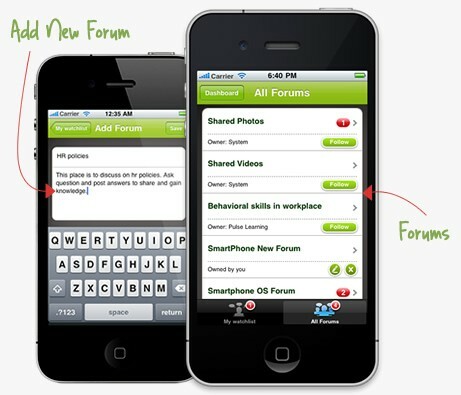 At Upside Learning, we've created a product, which helps organizations support informal learning through mobile devices. 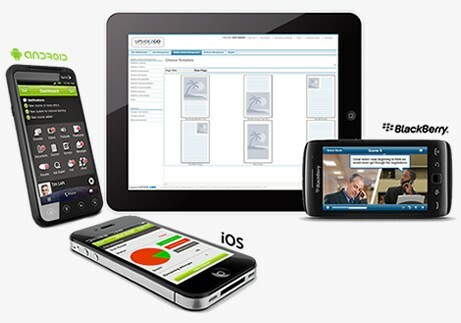 Upside2Go features a native app based consumer (learner) frontend, and is available on iOS, Blackberry, and Android platforms. The backend (or the administrator side) is browser based. It is a stand-alone product and can be integrated with any LMS system. Of course, it works seamlessly with our own LMS – UpsideLMS. 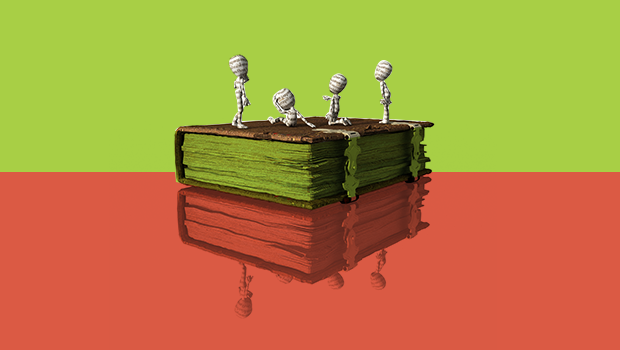 Let me highlight a few features that can specifically support informal learning. You can search and access relevant information / learning assets available in the system. 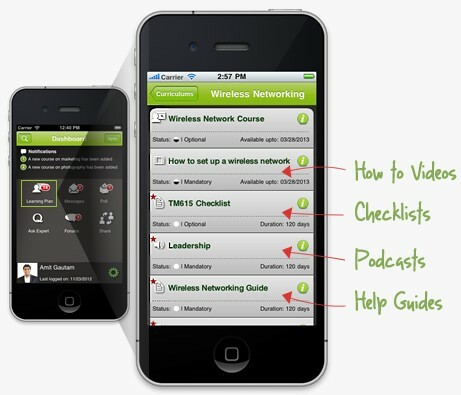 The supported learning asset formats are videos, product usage guides or manuals, checklists, podcasts, etc. You can connect with colleagues and experts to ask queries or answer others' queries. And it helps you capture moments of creative impulse. You can share new ideas and thoughts or anything else that you come across which could be used in your organization. 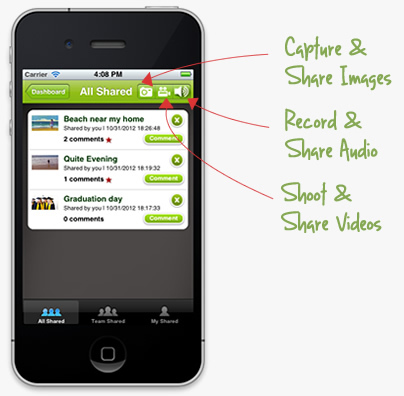 The product allows take photos, shoot videos, or record audio and share with colleagues. This feature can also be used for describing a problem or recording a particular way of doing a particular task and sharing with others and inviting suggestions and feedback. It’s amazing how technology evolves year after year, and how these gadgets can help spread education even informally.